MOSCOW, January 11. /TASS/. 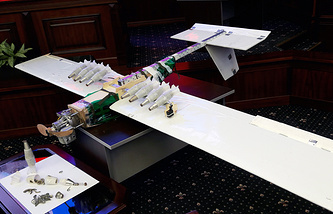 The drones (or unmanned aerial vehicles - UAVs) that tried to attack Russian military facilities in Syria’s Hmeymim and Tartus in the small hours of January 6 were following a preprogramed route and the bombs they carried were equipped with contact detonators, the editor-in-chief of the Bespilotnaya Aviatsiya (Unmanned Aviation) magazine, Denis Fedutinov, has said. "I believe that the drones Islamic State terrorists used to attack Russia’s military base Hmeymim in Syria had been made in makeshift conditions from components available on the market of civilian products and often used to build aircraft models. The UAV’s airframe is the cheapest part of the system. Most probably the drones followed a pre-programmed route and were GPS-navigated. Apparently, the bombs were dropped when the drones reached certain coordinates. The bombs were equipped with contact detonators," Fedutinov told TASS. He remarked that the UAVs’ control system was the most complex and costly component. "In fact, the UAVs’ control system, which may have been based on the available solutions, too, for instance, those provided by MicroPilot company, was the most complex and costly component. As for other expensive components, such as an optical-electronic observation system and a communication channel for transmitting reconnaissance data, they might have been absent altogether," Fedutinov speculated. He described this weaponized UAV configuration as a low budget one. "Apparently, it was also unreliable, but a large swarm of drones may pose a threat to an unprepared target," Fedutinov said. About countermeasures against such attacks the analyst said that traditional air defense weapons might not be always effective enough. "Firstly, small drones may prove a no easy catch for such systems designed to fight large aircraft. Secondly, the target is far less costly than the counter-weapons. It looks like radio-electronic warfare means, including anti-drone systems will play a major role," he said. Earlier, the Russian Defense Ministry said that in the small hours of January 6 Russian military facilities in Hmeymim and Tartus came under terrorists’ drones. 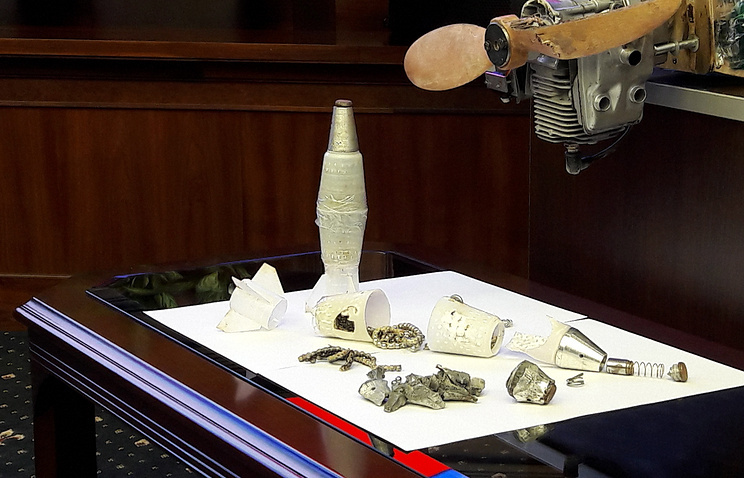 All UAVs were either destroyed or put under control by Russian military personnel. The Defense Ministry said the solutions used by the militants had been obtained from a technologically advanced country. It warned of the risk of more such attacks in any other country around the world. In this connection the Russian Defense Ministry dispatched messages to the chief of the Turkish Armed Forces’ General Staff Hulusi Akar and chief of the National Intelligence Organization Hakan Fidan. Four de-escalation zones were established in Syria in the middle of last September: in East Ghouta (a suburb of Damascus), in the south of the country, near Homs, and in Idlib province and some areas of neighboring provinces Aleppo, Latakia and Hama.